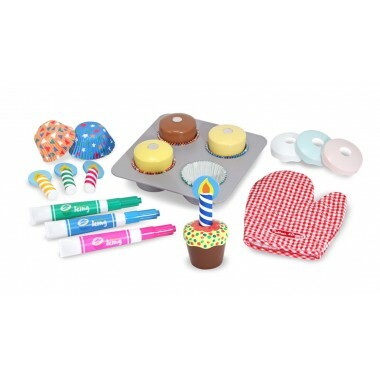 We all love cupcakes and children are especially attached to pretty fairy cakes and angel cakes. 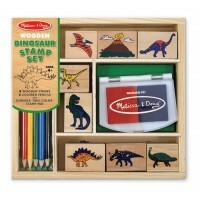 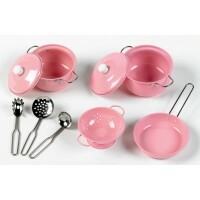 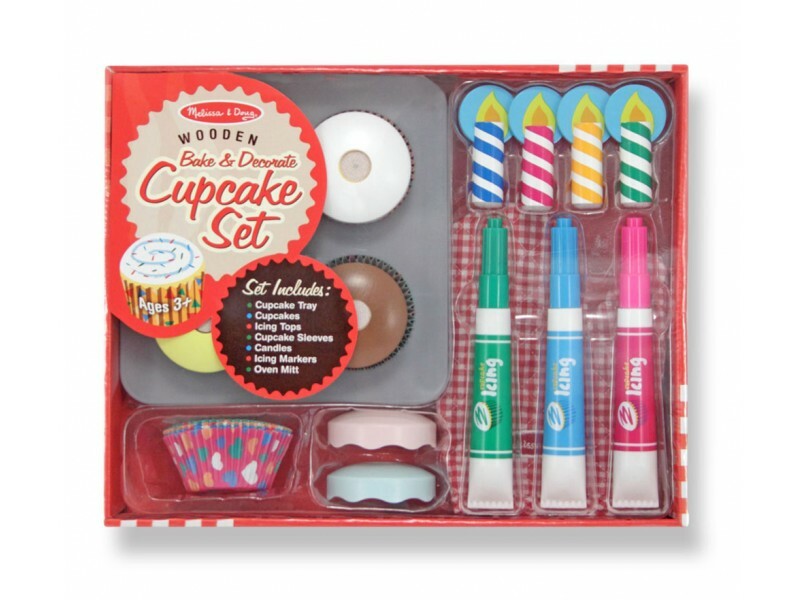 This brilliant wooden play food set lets children play at cake making while keeping them away from hot ovens! 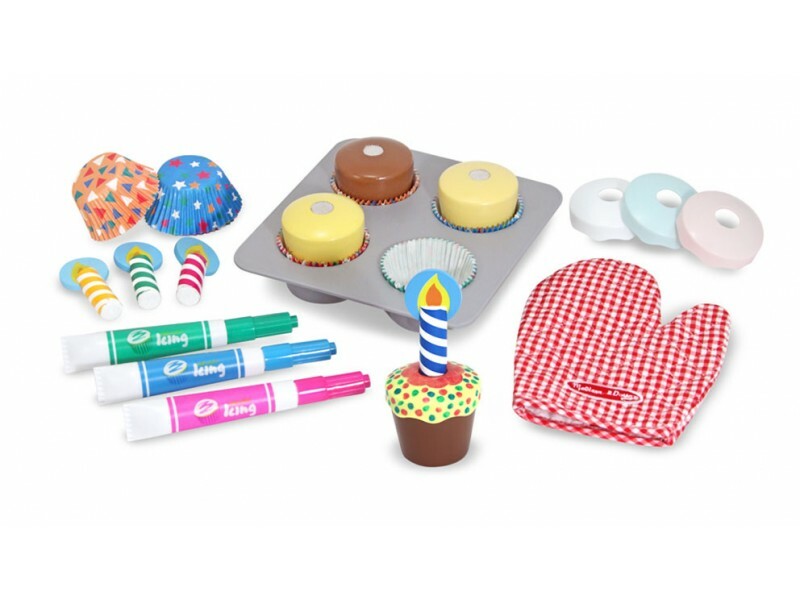 Four wooden cupcakes sit in a baking tray and each one has a removable top which can be decorated using the ‘icing bag’ dry wipe markers and topped off with one of the stripy wooden candles. 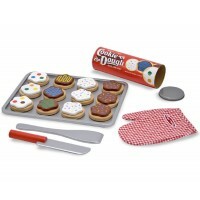 Four delightfully patterned cup cake holders are also supplied for added authenticity. 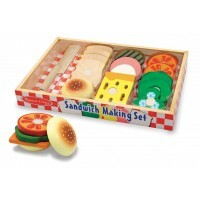 There’s even a little oven glove to complete a fabulous set of play food.